When I envision my people gathered around the table in a couple of weeks to toast, taste and give thanks, I can’t help but smile! Thanksgiving combines so many of my favorite things: family, friends, food and time to be grateful! On my list of reasons I am thankful: my parents are hosting! Haha! Don’t get me wrong, I love hosting events, but Thanksgiving can be a bit overwhelming, and being at my parents’ house just feels right! Whether you are hosting, attending or just want to make your home a little more festive before you break out the Christmas décor, you are in the right place! 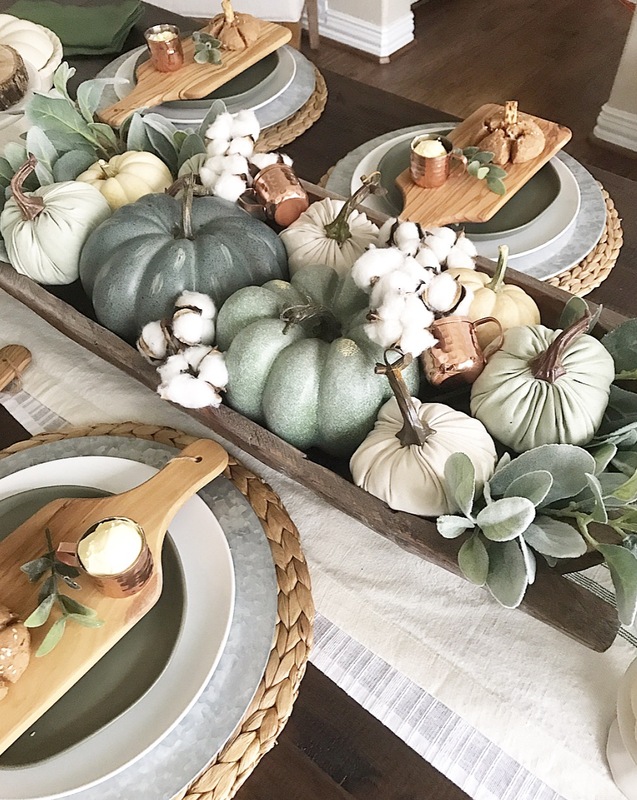 I have teamed up with a group of talented blogger friends to share how we decorate for Thanksgiving! 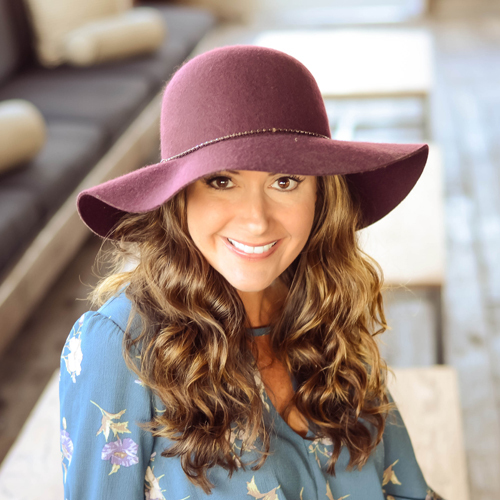 If you just came from Amber’s blog Follow the Yellow Brick Road Home and are here for the first time, welcome! We hope that you find ideas, inspiration and the motivation to make a memorable holiday! I have included links to all the blogs at the bottom of this post! The color palette of this console table in my dining room was the starting point for my tablescape. I love the combo of muted orange, greens, brown and white. My Harvest sign from my sweet friend Beth at Cedars and Grace Co. serves as a pretty and festive focal point. 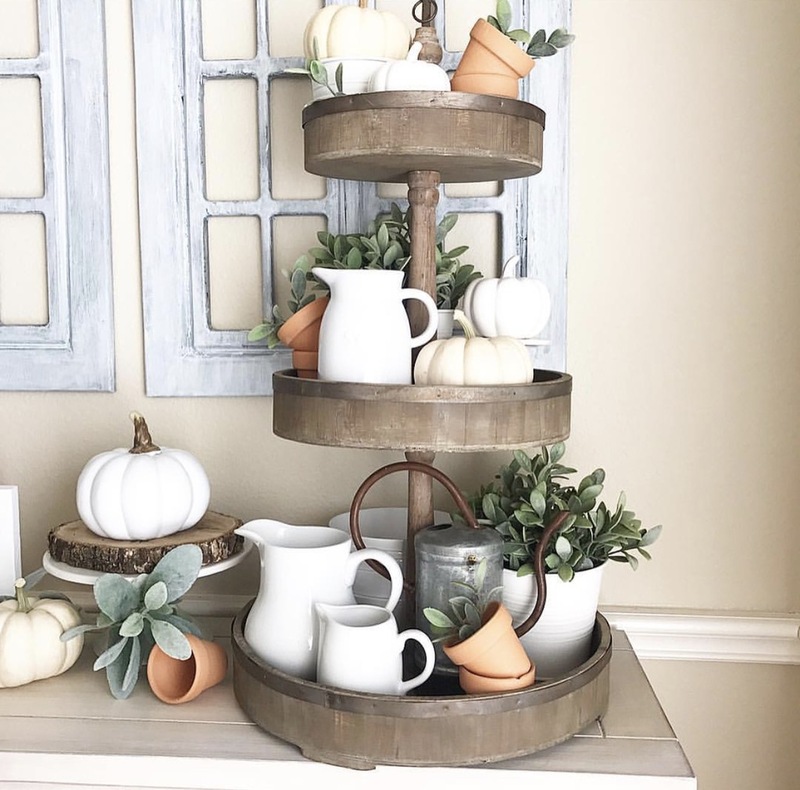 This tray is also a favorite of mine to decorate each season! I saw these bread boards and was reminded of Acts 2:46 (above) and my love for carbs! No calorie counting on Thanksgiving, right? They are the perfect size to add to your place setting and functional for your guests. 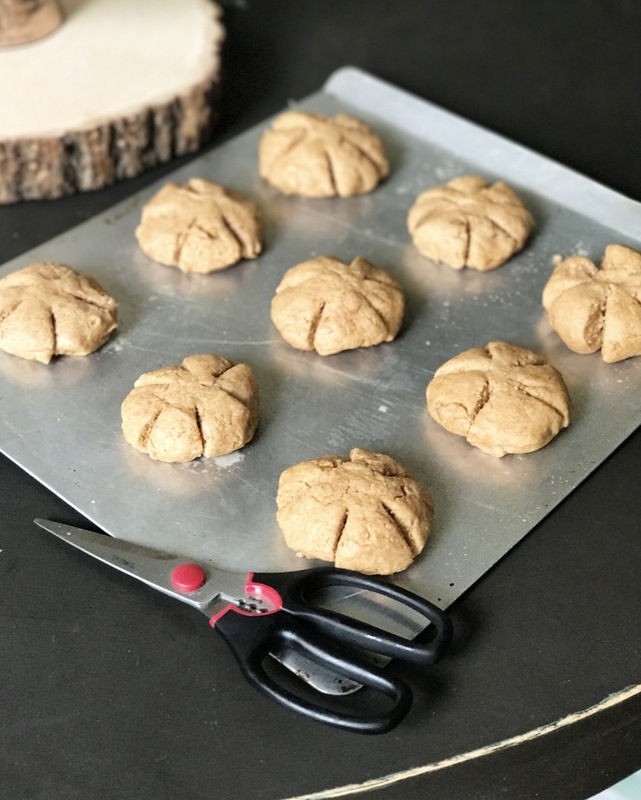 I found a super easy roll recipe online and subbed whole wheat flour for the white flour…that was a mistake because these pumpkin rolls pretty much tasted like wheat flavored playdough. No thanks. BUT if you have a dough recipe you like, these were so easy! Just take the ball of dough and cut slits using kitchen scissors. Bake and add a twisted pretzel stick to the center. Takes 2 extra minutes, and I guarantee it will make your guests smile! I used my mini copper Moscow mule mugs to hold the butter! 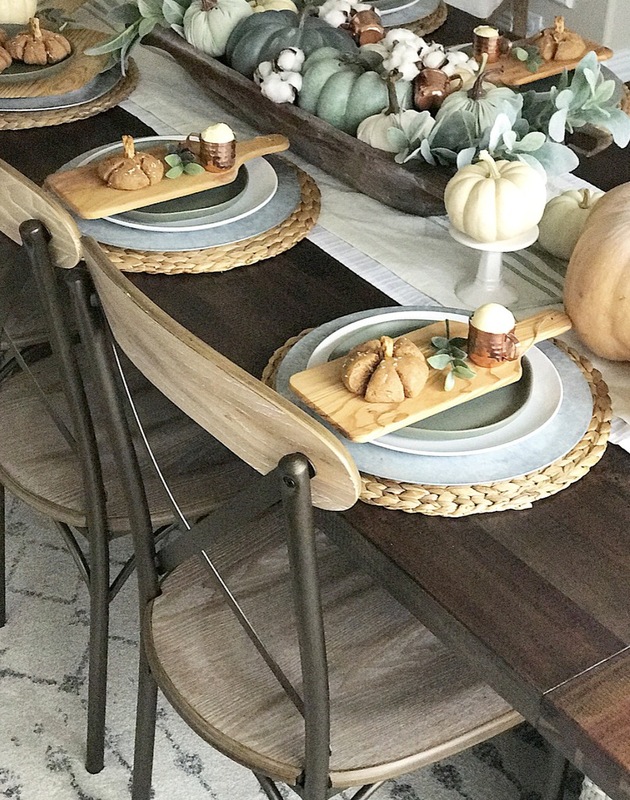 The place settings are layered with a woven charger, galvanized metal charger, white and muted green plates from the new Hearth and Hand line. 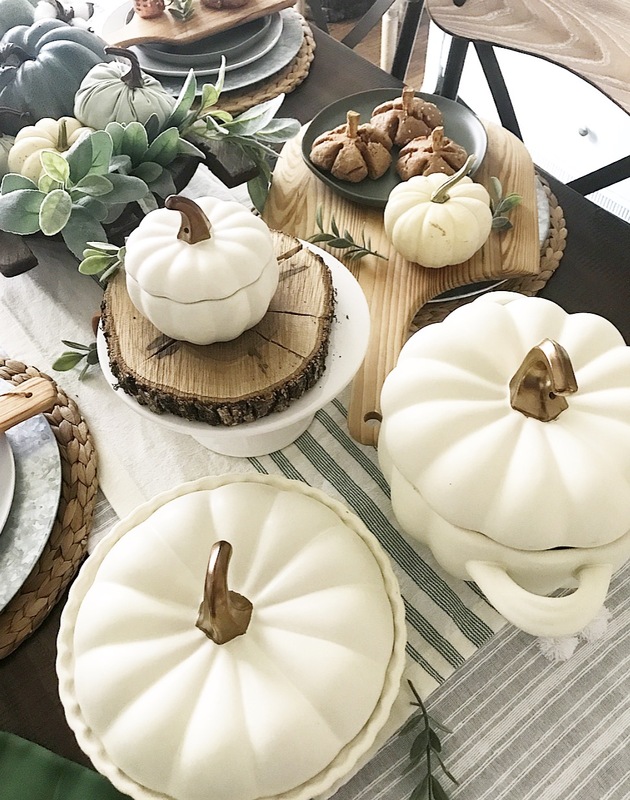 My dough bowl makes a festive centerpiece filled with pumpkins, lamb’s ear, mini Moscow mule mugs and cotton! On the other end, this serving ware is so festive! The bronze handles are my favorite! These come in several colors and would be great if you are bringing a dish or need a hostess gift! I count you among the reasons I am thankful this year! 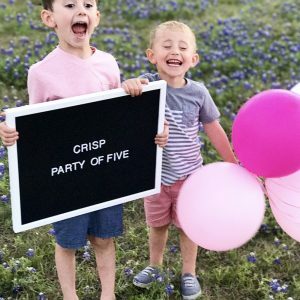 I started this blog at the end of November last year, and it has been such a fun experience to learn, grow, be creative and get to know so many of you! If you are here, my sincerest THANK YOU ! I hope that this Thanksgiving brings you time with family and friends, yummy food, and countless reasons to feel grateful! 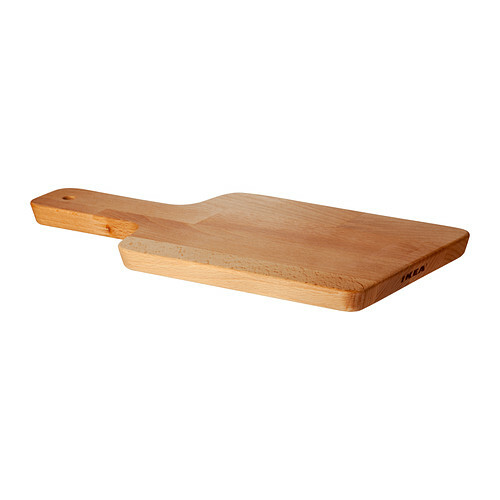 I also found these smaller wood cutting boards as a less expensive alternative, especially if you need a lot of them! 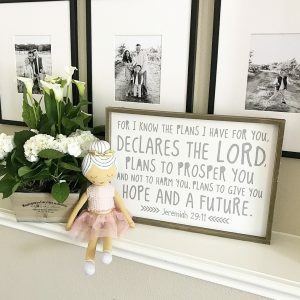 The next stop on the Grateful Gatherings blog hop is Marci at Lemons to Lovelys. 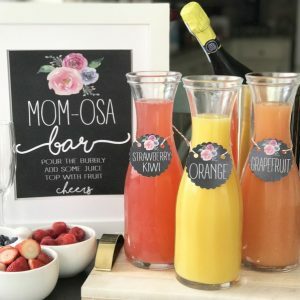 Be sure to go check out her beautiful ideas! Such a beautiful table and post! I can’t wait to try the bread dough pumpkins!! So cute Bethany! Love them on the bread board and with the butter in the mini copper mugs!! I’m so inspired! Thank you Kristin! You are too kind! Your tablescape is fantastic! LOVE the bread boards at each setting and those cookies! Absolutely beautiful post! I thoroughly enjoyed my visit! Thank you so much sweet Kathy! LOVE your mini copper cups!!! I have some like that and never thought to use them like you did! 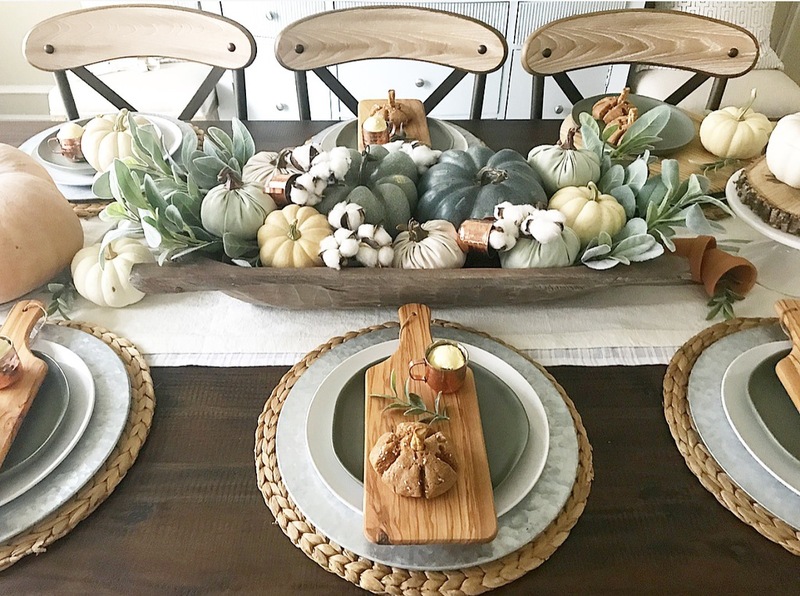 Love your tablescape Bethany! Your table is beautiful. I love the little bread boards. The pumpkin bread is adorable, even if it wasn’t tasty! Lol! You win some, you lose some! Going to try a different recipe for Thursday! Bethany I thought I left a comment yesterday! I came back to see more so I will just leave a comment again! What a gorgeous home you have. 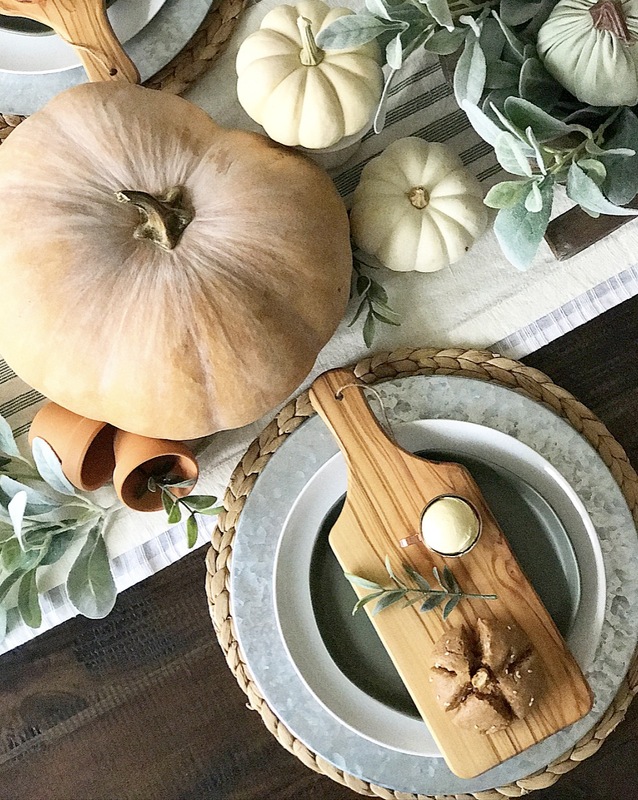 Your tablescape is so creative and fun. OH! Those little bread dough pumpkins, just over the top adorable! Thank you for joining the hop! I hope you have had fun! Thank you so much for having me! So much inspiration in everyone’s posts! Bethany, I love every single thing about this! The pumpkin rolls and mini moscow mule mugs are so cute and clever! You outdid yourself! You are the sweetest Jordan! Thank you! I am obsessed with this whole table setting!! It is gorgeous, I just love your style. The little bread boards, bread and butter are such an awesome and unique touch…I’m so inspired! Thank you Deborah! You are so sweet! OMG Bethany!!!! 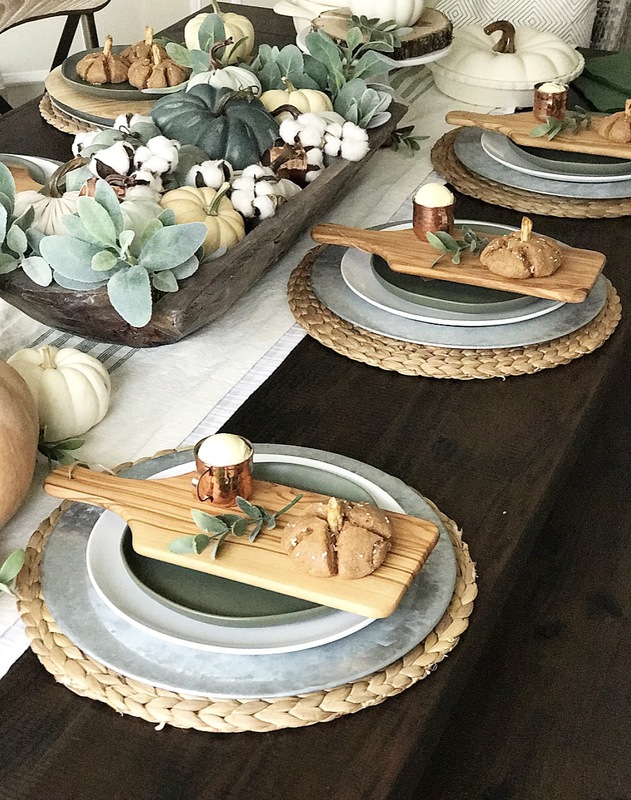 The bread boards with the pumpkins are just the cutest ever!! That’s a great idea and so worth the extra time!! I totally want to be your guest 🙂 Such a gorgeous home girl! Thank you sweet friend! So very kind! I’ll save you a seat! Thank you my friend! 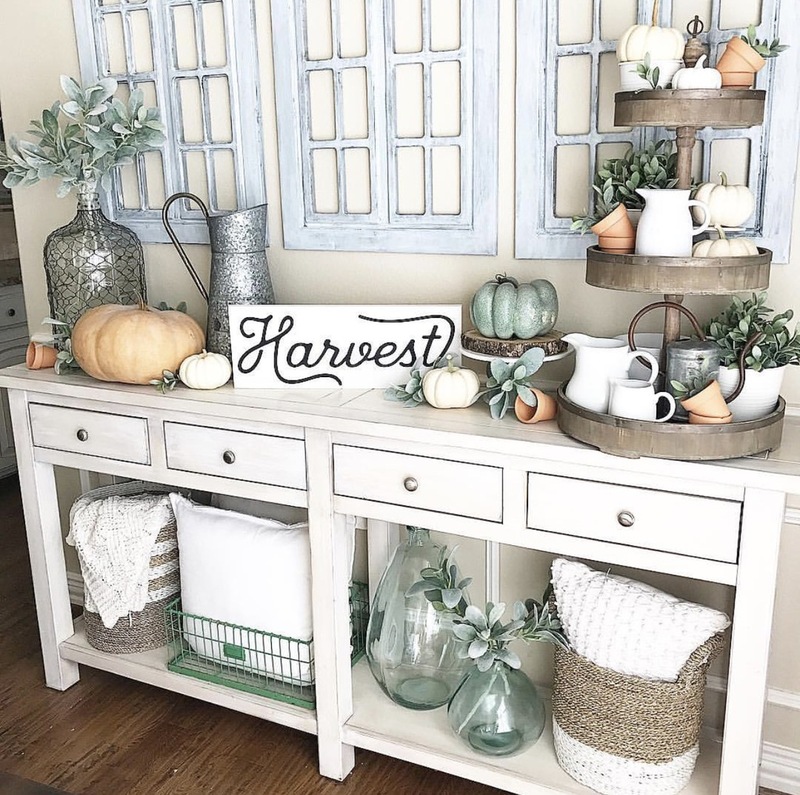 Beautiful homey decor inspiration 🙂 I love the muted pumpkin colors! 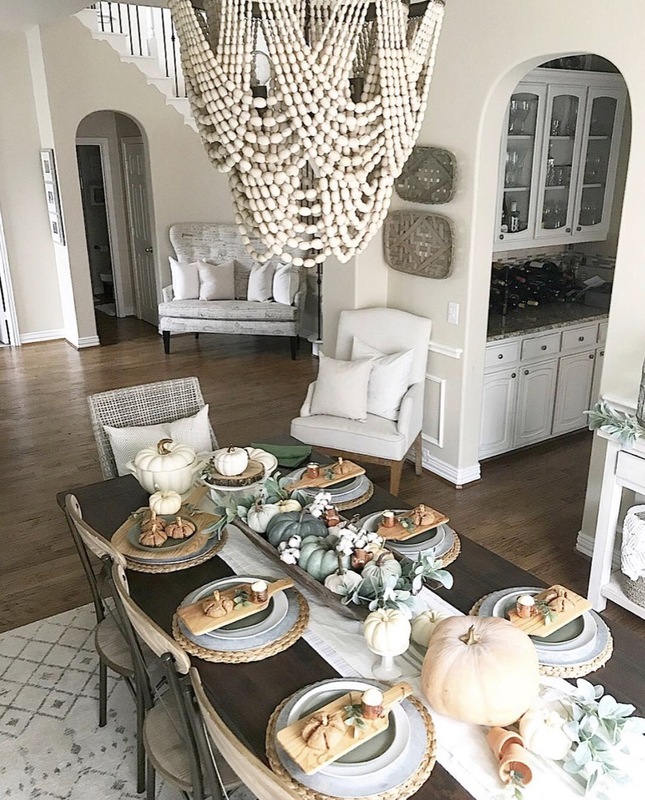 Wow, your thanksgiving table looks amazing!! I really love the decor and the color pallete. So chic and beautiful! Thank you very much! So kind of you!! 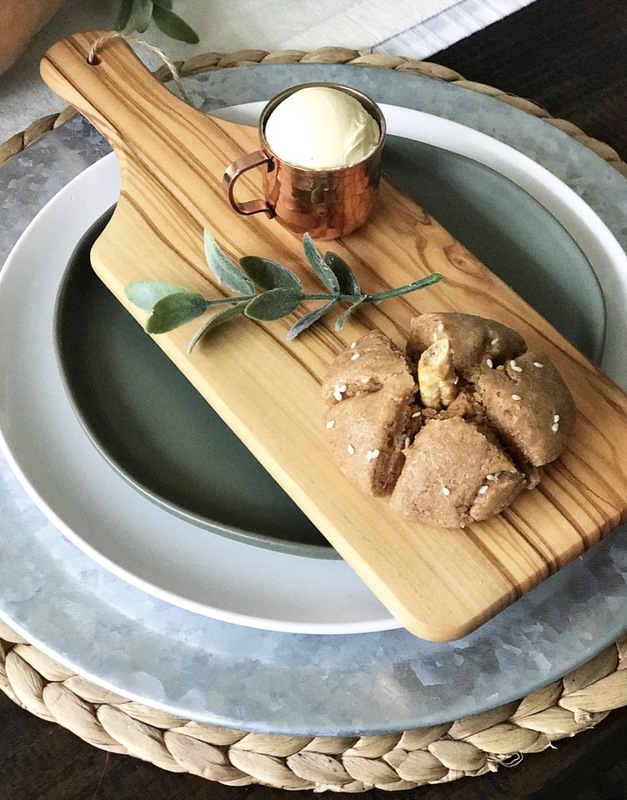 I am in LOVE with these bread boards and mini copper mugs! And putting butter in them is so creative!! I love your soft neutral color palette throughout the room, it’s so warm and inviting! Gorgeous as always, friend!! Thank you sweet friend! Hope you have a wonderful Thanksgiving!